Why Do Young Motorists Pay More For Their Car Insurance? An 18 year old who has just passed his or her driving test is almost certainly going to pay more for their car insurance than if they were 30 years of age with 10 years experience of driving a vehicle. What are some of the reasons as to why this is the case? 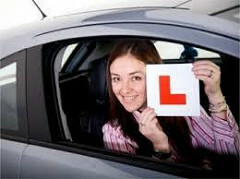 Newly qualified drivers usually pay more for their car insurance than a 30 year old with 10 years driving experience. Well, you may be interested to read that one in five deaths on roads in the UK involve drivers who have just passed their driving test as well as their passengers. Also, 20% of drivers who have just passed their driving test will be involved in a road traffic accident within the first 6 months of qualifying to drive. So, as you can see, it is known that young drivers present more of a risk of claiming on their car insurance policies than the more mature driver who has many years experience of driving. It is interesting that it is possible for someone aged say 10 to 17 to learn to drive at the likes of a Young Driver specialist centre where they are taught how to drive in a dual controlled car by qualified instructors. Apparently, the number of road traffic accidents dropped by 40% in Sweden when someone learned to drive like this at an earlier age and similar results are now being seen in this country. One way that a newly qualified driver may be able to get cheaper car insurance is by way of a telematics car insurance policy. This sort of cover is also known as “black box” car insurance as a black box is fitted inside the car and it monitors various aspects of your driving. For instance, it will monitor such things as what time of the day you drive the car, where you are driving the car, the speed you travel at, how you brake, how many miles you travel in the car and if you are involved in a road traffic accident. Your premium is based upon factors such as what we have just mentioned is monitored as well as the usual things like your age, driving experience, what you do for a living, the make and model of car you are driving and whether you have any driving offences. Your premium is reviewed periodically.